“What can we learn today from ancient cultures about running a successful, and sustainable business?” The answer is, a lot more than you may think! We have largely ignored ancient cultures, and their connection to the wisdom of Nature, in the creation of our modern business culture. We have ignored this wisdom at our own peril. It’s time to recover this wisdom in order to create a sustainable future for individuals, businesses, and our planet. “The new science presents a warning: If we continue to model our existence upon the outdated philosophy of survival of the fittest, ignoring our responsibility to the whole of human civilization and the environment that supports it, we threaten our own existence”. 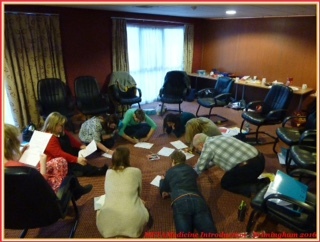 As many business people know, but few admit, business as usual isn’t working…we have to do something different! We are in a major transition period from the old unsustainable single bottom line mindset of profit at any price, to the new sustainable triple bottom line mindset of people, profit, and the planet. The triple bottom line mindset is not just a good idea, it is the key to a sustainable future. Our compartmentalized thinking, that the economy and ecology are unrelated, is a short sighted and potentially disastrous misperception. We have created a dangerously fragile economy and ecology, one that threatens not only the financial well-being of our global culture, but the very survival of our planet, and all life on it! The right use of resources available through our world-wide business enterprises are essential to address many of today’s global challenges. But, without a significant change in the mindsets of business leaders, no such change will take place. PER-K® is a simple and effective way to address mindset change at the subconscious level of the mind, where neuroscience tells us that over 95% of our thoughts and behaviors originate! This is the part of mind that is really running our lives, and is below the level of our conscious awareness! Unfortunately, most of these subconscious programs are outdated and even harmful to us, personally and professionally. The good news is that these outdated programs can be “rewritten”, just as software can be updated in your computer. Scientific research done using the PER-K® process shows that it creates what is called a Whole-Brain State. This bilateral, symmetrical brain wave state makes high-speed mindset change possible. Often self-limiting subconscious beliefs can be changed in a matter of minutes, no matter how long you have had them! The optimal state of consciousness is to have the qualities and attributes of both hemispheres of the brain operating simultaneously, in order to have the full response potential of the mind/brain system available to us, as well as creating a ‘user friendly’ state of consciousness for changing subconscious beliefs quivkly and easily. We refer to this as the Whole-Brain State. Our research shows that in 98% of the subjects tested, PER-K created this state of mind in just minutes. This Whole-Brain state can beneficially and dramatically influence performance. 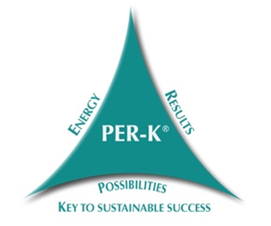 Jo Trewartha is proud to be a PER-K® Catalyst.